Ryan Patterson joined Mumford Company which is a full service hospitality brokerage advisory firm and will be heading up our Dallas, TX office. In this role, Patterson will be actively involved in the securing new listings, working with and expanding buyer base as well as property marketing, valuation analysis and market research. Patterson will be located in our Texas office. 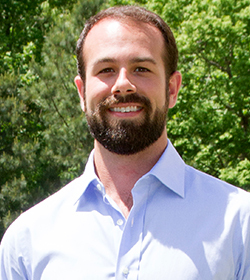 Prior to joining Mumford Company, Patterson spent several years as a Project Advisor and Broker for Patterson Real Estate Services LLC. DBA Texas Hotel Brokers where he structured hotel and land sales across major Texas markets. He also served as a logistics account executive for Total Quality Logistics, one of the largest non-asset based third party logistics companies in the United States. Patterson is a graduate of Texas Tech University with a Bachelor of Business Administration degree in Marketing, Management, and Logistics. "Ryan is a great addition to our firm as we continue to expand nationally," said Ed James, Principal at Mumford Company. "The Texas hotel brokerage market is very active and we expect Ryan's presence there to enhance our continued growth and success in the region". Mumford Company is a hotel real estate brokerage firm with a commitment to results-oriented customer service that has accomplished over 1,000 completed transactions in its 38-year history. With its experienced sales team in five regional offices across the country, including the company's newly opened Washington DC office, Mumford Company is a leader in the sale of mid-market and economy hotels. For more information, contact Mumford Company at (757) 873-0962.